The other day I did part one of a 15 film challenge meme, in which I listed out my top three of the 15 films–well, top five, really, because I was counting the entire Lord of the Rings trilogy as one story. Here now are the films for positions 4 through 6, which I daresay will surprise none of you either. 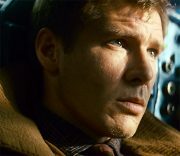 This of course being the OTHER major Harrison Ford vehicle that fueled my years-long fangirling–the movie that, when it first came out, convinced Young Me that I did in fact like Han better than Luke, and got me ridiculously excited when I learned that the VERY SAME GUY was playing Indiana Jones. Note: I am NOT calling out the whole original Star Wars trilogy in one spot here like I did with Lord of the Rings, in no small part because while each movie is certainly interconnected, they’re all still standalone adventures. I rank Star Wars (which is how I still think of it, without the A New Hope bit, to this day) right behind Empire because at the end of the day, Han’s a flimsier character here. I am, of course, a member of the Church of Han Shot First. But he’s also a flimsier character here and Ford hadn’t quite grown into him like he had by the time Empire rolled around. Musically speaking, we didn’t get the grand Imperial March until Empire, either. So although the music all throughout Star Wars tugs at my heartstrings, the really iconic themes for me show up in Empire. But that said, I’ll happily rewatch Star Wars at the drop of a hat. 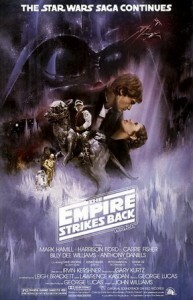 It is one of my very earliest memories of seeing a film in the theater near my childhood house–and I still have a visceral memory of seeing that gigantic Star Destroyer on a theater screen for the first time. 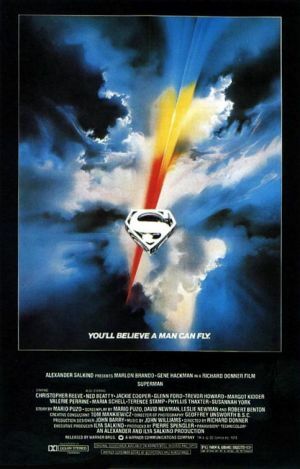 There were three movies that were pretty much the holy trinity of movies of my childhood–Star Wars, Raiders, and the third of these, Superman: The Movie. This right here is the reason I love Superman more than Batman, and why to this day, as much as I loved Dean Cain in Lois & Clark and the animated Supes as well, Christopher Reeve remains my prototypical Superman. I absolutely believed a man could fly. We even periodically watched this at school during free time over the school’s closed-circuit TV system–this being the same middle school that actually took us on a field trip to see Raiders, BEST SCHOOL EVER. And oh, the title theme for this one. Another of John William’s master works, which just makes me happy in a way all its own. Because this is Superman’s music, and it set the template for what I’ve expected out of every Superman theme I’ve heard since. It needs to not only be uplifting, it needs to make my heart goddamn fly. Lois & Clark‘s theme came close, and so did the theme for the animated Superman cartoon on the WB. And OH GOD Gene Hackman. Over the top? Absolutely. But I adored his Lex Luthor for the unremitting ego and how Hackman must surely have been picking scenery out of his teeth for months after filming wrapped, so much scenery did he chew in this flick. I love him and Otis and Miss Tessmacher and the March of the Villains theme, too, heavy on the bassoon! Next post–positions 7-9, which will require some thought!